Today, we award the title of “Golf’s Most Wanted!” to the blade that was more accurate than its peers. 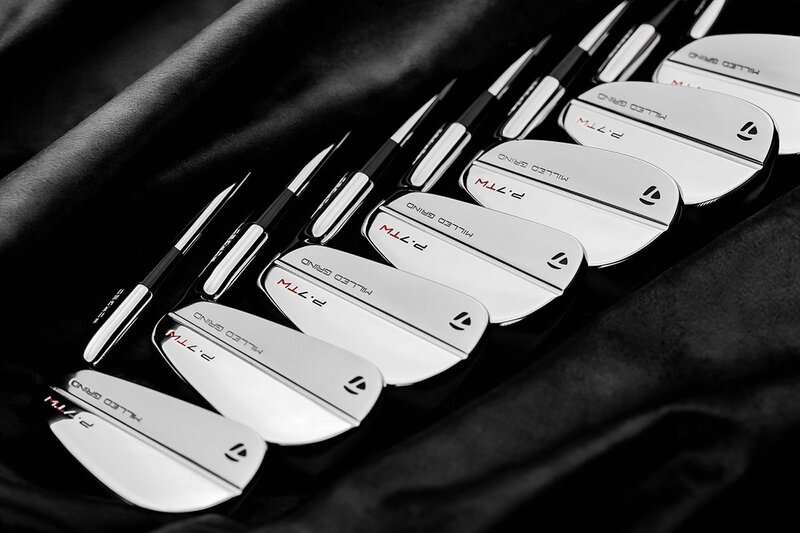 Many of our putters share the classic heel-toe-weighted design, while others push the blade envelope. We have plumbers necks, double-bend necks, and flow necks. We have contestants finished in silver, copper, black, and even one in green. All of our contestants are on equal footing. All contestants get the same shot at the title. The Most Wanted Title must be earned though. It doesn’t matter if we love a company, or are hearing about them for the first time. Once the putter is in the hands of the tester, it’s all about the data. It’s only about the data. What data are we collecting? Remember in this competition, accuracy is everything. To win the title of “Golf’s Most Wanted!”, a putter must get the ball to the hole better than all other competitors. Price doesn’t matter. The number of stitches in the headcover doesn’t matter. If you think Desirability should be part of the formula, then you are missing the point. The desire of any golfer and his or her putter should be to get the ball to the hole. That’s why accuracy is everything. “Golf’s Most Wanted!” Blade Putter, should be the most accurate, regardless of the person swinging the stick. Once again, we see one putter that really separates itself from the pack. As with the mallets, the question on many of our minds is what is it about the Daytona 12 that allowed the testers to be more accurate with it compared to the other putters? 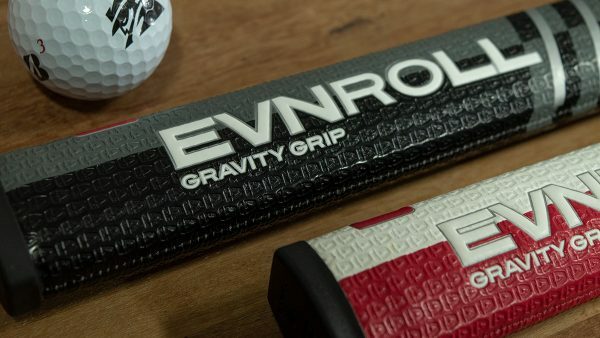 Is it possible that a company known for drivers can also make an exceptional putter? Don’t worry, we will be looking into the Daytona 12 win in much more depth. We will also be looking at the other putters as well in Golf’s Most Wanted Blade – Beyond the Numbers. For today though, congratulations go out to TaylorMade’s spectacular Ghost Tour Daytona 12, and the other Top 5 blade putters. It’s true. We absolutely refuse to take advertising from the biggest names in golf. We truly believe it’s the only way to remain above the influence, publish real results based on real data, and continue to provide honest opinion and commentary about what’s happening inside the golf equipment industry. 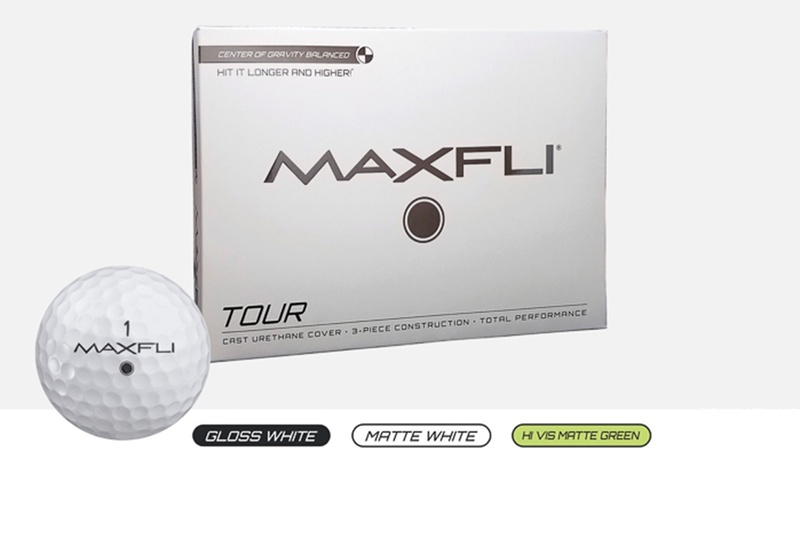 If you found this review and/or our other content useful, meaningful, or just interesting, please consider making a donation to help support MyGolfSpy’s independence. Just curious but….where wad yes! ? I use the bella-12 and it is simply a phenomenal putter. Were they invited or did they decline? Gents, I don’t want to beat a dead horse. What is that patent # you’ve now mentioned twice. For the life of me I tried searching for your patent and can’t find it anywhere. Not under EGOS, or Andy’s name. I will have the patent # on my website by this weekend.. it is # 8,696,496. Please notice the P&SI-EGOS putter has USGA conformance approval as well, and the decision # is on all pages under the NAV bar.. This approval took more than a few years of battle with the USGA to say the least…. Purchase of the P&SI-EGOS allows you access to the EGOS lessons, the Math, and support for any greenreading issues. Website says all this stuff is patented and they actually sent me the issued #. Anyway, you have to own one and use your putter’s serial # to see how it works and how it gives you an advantage on the greens which is crazy stupid simple and addictive once you get the hang of it. Humm why would you stick in a Scotty and not something from Cally/ Odyssey even though both declined. Scott might be the pricier end of the market, but Odyssey must be about the most prolific in the market place! No Z:en or true blades in this? Dave please provide guidance, but from above, it appears 10 testers took five whacks from 5-ft, 10-ft and 20-ft with each putter. So each tester swung each putter 15 times in earnest, already knowing the greenread every putt. Then based on missed distances, MGS ranks them. So what does this mean? IMO, it determined the easiest putter to get acclimatized to after ONLY 15 putts, not quite 9-holes. Pot luck to me gentleman, and my dog-in-the-hunt is grateful to start mid-pack since it will be the first one chasing the rabbit down into the hole because my pooch knows where to go better than the other thirty hounds. You’re right. With so few putts per putter and per putterer, what the survey really highlights are “the easiest putters to acclimate yourself to quickly when you pick them up cold”. I’d say it took me over 500 putts with my new Ping Ketsch before I began to understand what it would do. I am not sure how your round of golf goes on the putting green. Maybe you buy mulligans in the golf shop? Anyway, EGOS GUARANTEES the read EVERYTIME, with the math to prove it. So, keep the putter you are using, as long as you get numerous attempts, you will still break 90. The “dog in the hunt” will get its due. my putting’s decent. I’ve averaged 1.9 putts per hole over > 60 rounds, over a few years. With a low of 1.6 putts per hole. Where’s the math to prove the read. Remember there are other factors such as being able to hit it on the line, and the proper speed. Well I guess we sure have a lot of fanfare for the only putter with an Operating System. Shouldn’t it just be called instructions? And where does this magical putter show up? 16th. Right there, perfectly midway. No better or worse than half. Not even in the top 4. And it looks VERY similar to all the rest, except for the hosel, which is just like a ‘MACHINE’ clone. With a guy swinging different putters from the same point for each putter to the same hole, after a few putts, they’d have figured out the read, so unless the EGOS was the first putter used each time, it’s a fair evaluation. Then it’s how well can they hit their line FOR ALL PUTTERS. How often can they swing it for the correct length to the hole. So it’s up to their stroke and aiming. And ‘supports & provides a corrective fix ‘ for a long or short putt, for all 31 putters would be hit it harder or softer. Sounds like TM marketing. The ‘dog in the hunt’ is average. Is it just me or do most of these putters look like they came from the same mold or at least same family? The EGOS putter stands alone as it has a sharp look and a great feel. Plus, the putter gives you the read 100% EVERYTIME. I don’t see how green read factored into this evaluation process as the golfers putted the same putts constantly. The end game is to make all putts. With EGOS, you have the line, so take that out of the equation and all you do is pick up your ball out of the hole. The EGOS does have a unique neck and heel design, but it too shares a great deal of design similarity with the classic Anser. There are some components that set it apart from the others, but “stands alone” seems a little over the top. Read did not factor in as all putts were on the same path. What we were measuring was how the testers aimed the putter to that known, constant target line and how they then controlled distance. While the EGOS does come with an associated reading system, making reads was not a factor, and it was not as accurate under these conditions as the putters that scored above it, thus placing 16th. This is still a solid accomplishment for a small putter company going up against the more established shops. One of our testers really liked the EGOS putter. He even took it home after testing. When you publish the Beyond the Data, could you elaborate on how the testers putted? By that I mean, 1) Pendulum stroke, equal both sides of the ball; 2) shorter backstroke and accelerate through the ball; or 3) “pop” stroke, basically stopping after hitting the ball (strange, but my club pro does that). Wow…people act like they have to go buy these putters in the order that they placed…it’s a fun test…a fun read…not a sound scientific analysis…the stodgy nature of golf is ever present. Great writeup fellas, and I like the majority of the comments. One question I do have is were the putters tested in the same rotational order by the testers, or was the order randomly chosen for each tester? Order was initially determined at random and then kept constant for all of the testers. I have looked at performance vs. position in the test order and I do not see any “good” or “bad” spots. I’m surprised that the vizor blade was so much worse than the stellar 2nd place it got with the mallet. Me too. While one could argue the “bladeness” of the M1, it’s tough to argue that the I-Lock system worked well with the Wilson mallets. I thought this one would score better for sure. Maybe the extra material was just too distracting compared to the other sleeker designs. That would explain the Umbra vs. Joey-C score difference too. Are these scores proportionate to the mallets scores? So the Daytona is more accurate to the ketsch? As I mentioned above, not all variables were the same, so it’s tough to truly compare them. It would be an interesting head to head test though. All in all, I love the writing fellas! Bought the ketsch after your review! I may be old, but my grandson signed me up for this webpage! Twittering away! Ha! I think this was a most excellent test when one considers the actual format and testing parameters are there for all to see. This is quite unlike a certain magazine’s test which ” Surprise,Surprise, Surprise..” usually has the top spender of advertising dollars come out on top time and time again. I think a lot of the kvetching seems to stem from the fact that most people here seem to be forgetting that even the best test is only a snap shot. Any of the numerous variables mentioned could definitely have an effect on the outcome. Keep in mind, however, that any pro will tell you, try 3 differnt putters of the exact same make, model, and length (after of course you’ve already been fitted for a specific length, loft, lie, and stroke style), and then take the one that “WINS” to the counter. I guarantee that no matter how tight the tolerances at point of manufacture, there is still going to be a slight tiny miniscule variation of some sort that will make that one putter perform better for you than the other two. Seems like the test group is biased toward slight arc anser type putters. With only ten testers, I would venture to guess the type putter is a top seller at their particular clubhouse, area of residence? I’m curious as to what caused the large difference between the Anser 2 and the Anser 5 in the Karstans. I’ve tried both recently and am seriously looking at the Anser 5 as the feel off the face and in my hands was much better than the other to me. Was it the diference between a face balanced and heel weighted putters? As I see that the vast majority of the top ranking putters are all heel weighted designed for a slight to strong arc. In any case I will have to have another look at the Anser 2 and Taylor putters and specifically the Daytona. One thing I’d like to see is what kind of putting strokes the testers preferred. Eg SBST, slight arc, strong arc, etc. The top three look like they were all made with the same mold. First off, I’m not a statistician, but my company does a fair amount of R&D evaluation of products, similar to what you guys are doing here. One element that I don’t see addressed here is whether these data sets are “statistically significant” or not. The goal being that if you were to repeat the tests again, you wouldn’t necessarily get the same numbers, but the results would be within an expected range. I’m wondering if you have accounted for this in your results – seeing the difference between 4th and 5th place being just 1 point makes me concerned that you are drawing conclusions that mathematically shouldn’t be drawn. I like the MGS tests, but like Jim V I question the “statistical significance” of some of the metrics used in the test. The main troublesome metric is its inclusion of miss distances for 5 foot putts. A missed five footer is still a miss, it does not matter if it misses by 6 inches or 12. Even though the second miss is 100% farther from to the hole than the first, since the make rate on both “comebacker” putts is close to 100%, the meaningful statistical difference between the two miss distances is close to zero and can be ignored. With longer putts miss distances are more important because long putts can miss by 3 feet or more, or distances where the probability of making the second putt drops. All of us know that having a putter than cozies a 20 footer close to the hole is very valuable, even if the putt doesn’t go in. But unless you’re missing your 5 footers by 3 ft or more (in which case quit the game), miss distances on short putts can be ignored in favor of pure make percentages. Instead, the MGS test DOUBLES the miss distances of short putts to make them more comparable to miss distances of longer putts for the purposes of compiling an aggregate score. I think this skews the data. Statistical significance is something we’ve looked very closely at internally, and have had multiple conversations with a couple of different golf companies about. If we’re testing two clubs head to head (A/B Testing), then hypothesis testing could make sense (with the caveat that we’d have to explain it to the majority of the readers), but when you’re dealing with 20-30 clubs and the permutations of hypothesis testing under that scenario…nobody we’ve spoken with thinks it’s worth pursuing. The feedback from the golf companies has been that standard deviation (which we publish for metalwoods and probably should look at publishing for putters) is enough. 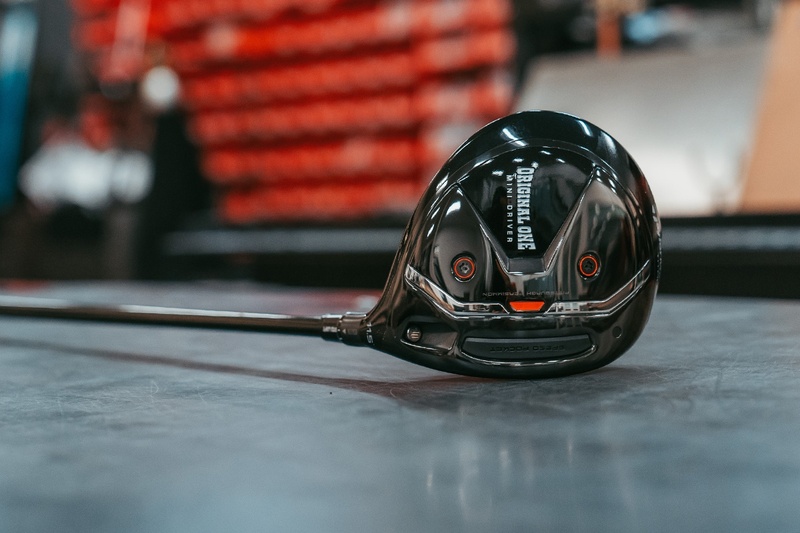 For our metalwoods tests there are some other tricks we’ve learned from the OEMs that help us ensure more repeatable results. Putter testing is much, much harder. There are more variables you need to consider and we’ve been advised not to drop shots with putters like we do with other clubs. That makes things a bit more difficult as far as consistency/repeatability of results are concerned, but then again, golfers don’t tend to miss 5 foot putts into the woods like they would with a driver either, so you don’t get the same degree of garbage shots either. Then there’s the matter of statistical significance vs. practical significance. If we have one putter that misses a 5 foot put by an average of 1 inch, while most others miss by 2 inches, that would be statistically a highly significant difference. But as you suggest, in practical terms the differences in the make percentage between a 4″ putt and a 8″ putt foot putt…well, it’s likely negligible. In that scenario, 1 inch or 4 inches…is meaningless (on the course). Of course, if that 1 inch is the difference between being 1″ from the hole or being in the hole, than statistically or otherwise that’s a significant result. Should we treat any miss within 3 feet as the same (1″ inch gets the same score as 2’11”)? There’s practical logic as far as make percentage (or even gimme percentage) on the course is concerned, but we don’t like drawing firm lines, because they force artificial distinctions. Take the difference between say 3 feet, and 3 feet 1″ for example…we’re constantly ask questions like what’s the value of 1″ at a given distance (or with metalwoods the questions are more like, what’s the value of being 1 yard closer to the target line at 220 yards? We have looked at several ways to score this (and continuously look to evolve), but putter testing is particularly tricky. I’ve got some ideas (and you’ve given me a couple more) that we may take a closer look at for next time, but I can’t stress enough, putter testing is the most complex of the club tests. Thanks for the great response, Tony. Believe me, I know how tough it is to quantify this kind of data. I agree that taking averages with standard deviations as being the most straightforward and probably best for this test. My concern is that if you have multiple putters whose averages fall within each other’s ranges of deviation, it may be difficult to say with authority that putter X is more accurate than putter Y. There are certainly cases where that may be so, but the argument becomes more convincing the farther apart the data sets are. I wouldn’t be surprised if when you were to repeat this test, each putter could move up or down the rankings by several places. Perhaps, as you mention, it would help us readers make that kind of judgement for ourselves if you included the standard deviation ranges. This is the rabbit hole you end up running down – how much data do you include before it just becomes overwhelming? Love what you guys are doing – keep it up and keep improving. My thought about the significance of the test was the number of testers. 10 testers seems a little low to be a relative sample size for a population of golfers, and as such leaving a large margin of error in the results. 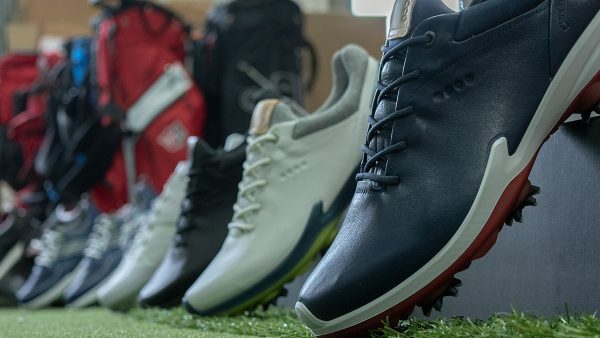 While I understand the logistical and work load nightmare that a large number of testers would present, it may give you a better representation of golfers and the wide array of putting styles, abilities, techniques, etc. and as such the most wanted blade/mallet/whatever putter. This test seems like it is the most wanted putter out of 10 players tested. I appreciate your ordeal Tony. The condensation of so many variables into one aggregate score is nearly impossible and you have to cater to lay golfers, not actuaries who pick apart statistical assumptions. These tests are still valuable because they often offer glimpses of meaning behind the numbers. Let me state for the record, that I bought your most wanted mallet (the Ping Ketsch) after I read you mallet test results and I STILL USE AND LOVE IT. Your overall conclusions (that the Ketsch is a phenomenal putter) were spot on, even if I disagree strongly with some of the math used to arrive at that conclusion. For example, I’d say that the Ketsch’s head-lining 352% accuracy advantage on missed 5 foot putts grossly exaggerates a meaningless metric. Better to look at the Ketsch’s 19% make percentage advantage from that distance if you look at anything. But I also appreciate that some of the things that your math and space/time limitations can’t communicate is “where” each putter tends to miss or how it subjectively behaves. These things must be experienced. In the Ketsch’s case the standard miss is “short”. It tends to be short for everyone I let touch mine. But once you understand it will grab the grain and come up short, you adjust, you aim a foot behind the hole and then you start dropping everything. These subjective things can only be gleaned after you learn of a reason for bothering to try a well-reviewed product. And learning of the reasons are precisely why the MGS surveys are so valuable. I think it is very true that a 5-footer missed by an inch or two makes no difference to what is (should be) actually tested. 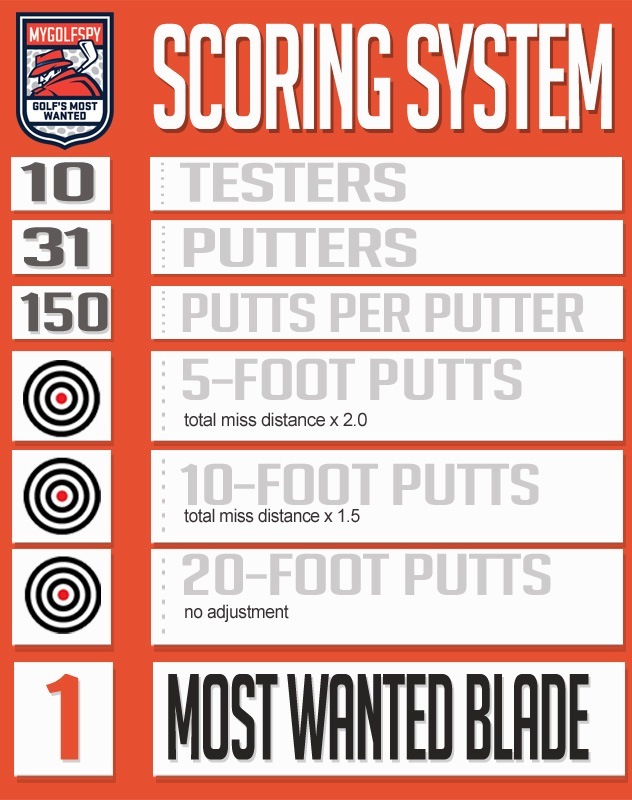 The performance of a putter to improve the score. What makes a putter good is the number of putts you take from certain distance to hole. 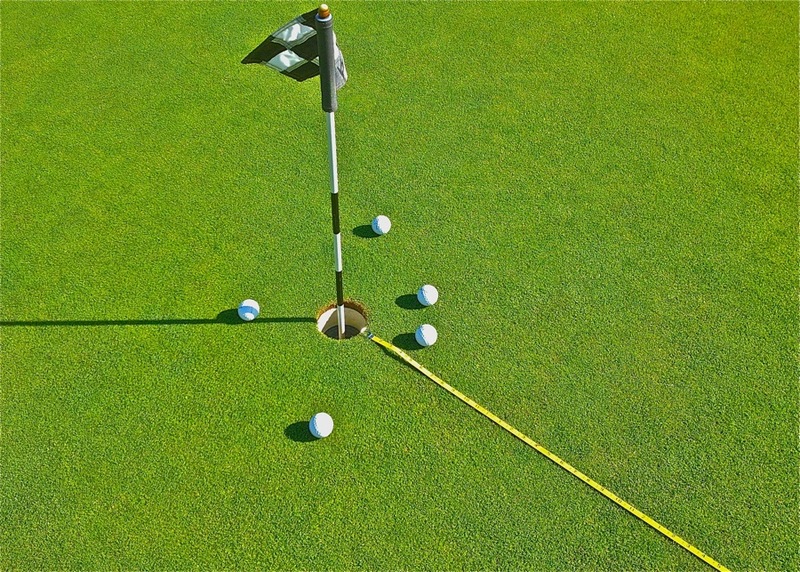 Could one simply count the average number of putts from the distances you have to hole the ball? Putts missed by inch and two both result to two. Simply make the testers to hole the ball 5 times from every distance you have and count the average number of putts possibly with some weighting for different initial distances. Wearing of the green could be prevented by using an artificial green. Hard to believe that Anser 2 and Anser 5 finished so far apart. They are exactly the same except for the neck. Just can’t imagine that face balanced vs. slight toe hang makes that much of a difference. It seems odd to me that in both of (mallet and blade) these putter tests, one putter stands out so far ahead of the others. Especially when the putter that won doesn’t seen that different than many of the others. Have you thought about going back and repeating the test with a different set of testers and see if you get the same results? Is it possible that there another source of bias that occuring here that you have not accounted for? Have you tried the test with a different putter of the same model to see if it occurs again? These are all excellent ideas, and are worth looking into. The issue comes from time. Increasing sample size, swapping testers, swapping samples, and other modifications could definitely be helpful. We are constantly looking to improve the methods from year to year, but that shouldn’t discount that the Daytona 12 won under this year’s testing parameters. All other putters had that shot as well. In the end, no one knows which putter works the best for them until they try it. So much of putting is confidence, so if you have the most confidence in the lowest ranked putter from this analysis and you make a lot of putts…. Then roll with it! Surprised to see that last year’s winner, Nike, could only come up with a tie for 10th. Also noteworthy, Scotty Cameron Newport 2 went from 17th to 6th. I’m confused… either the competition is much stronger this year or Nike’s new model isn’t that good, OR the competition is much weaker this year and the Newport 2 was significantly upgraded. I guess the other option is that a different group of testers was used this year. 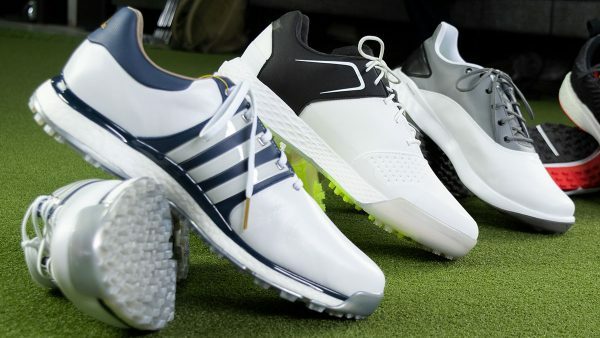 Last year’s Nike was a totally different animal. It was a Method Core weighted model. Totally different head shape, neck, and insert. Neither one of the Nike entries matched up real closely with the 2013 winner. One could definitely argue that last year’s winner is a better putter, but remember that the testing time of year, green conditions, and the testers themselves between 2013 and 2014 were not the same. As for the Cameron, I believe that the move from the black color was a huge plus for them. I’ll get into this more tomorrow, but the black on black scheme for last year’s NP2 was seemingly far less accurate. Black body color did very well this year though so maybe it was the black paint fill from last year that was really to blame. Tough to pin the improvement on one thing, especially considering the changes in testing mentioned above. Tester comments about the NP2 were definitely more positive this year. I also have a putter question. I am looking for a heavier blade, maybe an adjustable weight system, I do much better with a lot of weight in the putter head. Any suggestions? Anser 2b which is 395g and comes in both standard and counter balanced options. Its extremely heavy. 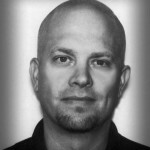 John, Over the years playing a smaller 33″ putter adding weight has always been a tough thing. The new technology helps greatly but I found if that is still not enough weight add tungsten powder into the shaft until you are happy then plug with a small cork with epoxy. Good luck. 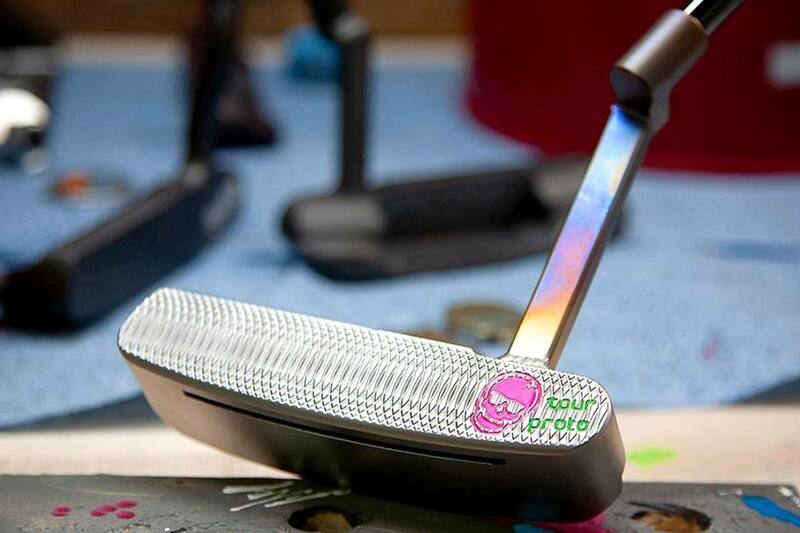 The ONLY putter in this group that guarantees an Expert Greenread every putt, plus supports & provides a corrective fix if ever get a bad greenread, well, that is the P&SI-EGOS putter. It appears to me that greenreading is not a factor to the MGS testers as they putt the same paths (lines) over & over again using all 30+ putters. But I could be wrong? LOL, yet may I offer one difference. CaChrome had Point A to Point B to run the fastest and win. Mission accomplished. But in golf, the mission is to actually make putts, right? What if a misread causes Point B not to be the cup? What MGS tested here is a ranking of how accurate putters are knowing in your mind the absolutely correct line to the hole to make the putt. How often does such a mindset happen on the golf course? And when there is greenreading doubt, how does that affect your putting stroke? The testers never had this “doubt” issue which is real life even for the Touring Pro. “Absolutely knowing the line to the hole EVERY putt” is what P&SI-EGOS is all about. Even if the putt is dead straight you still have to read that the putt is dead striaght. Pesi-Ego doesn’t seem to like straight putts? what if that toe hang with that arcing neck doesn’t fit the user? Who cares if they can read the break better than anyone in the world. Their swing may be all over the place if the putter doesn’t fit. Andy, I checked out your website, and this is all very interesting. You mentioned an 8 page spread published by you in Golf Tips magazine. When was that published, and the name of the article. Would love to find out more. Andy W sounds like obama “If you like your health care plan you can keep your health care plan, guaranteed. I looked at his website if worked better than obama’s but IMO was BS. If his system was so good the pros would be using it. do you mean President Obama? leave this stuff out of here, man. Crazy…. tm won. Didnt see that coming. After the runaway leader, I’d say the Cleveland line looks like the best bang for the buck. I am surprised that the top two putters have inserts. I would have imagined that a milled putter would have taken first place due to better consistency. But it looks like insert putters have come a long way and are disproving that. Ping Karsten TR does not have an insert. The grooves are milled onto the face. Maybe you are thinking last year’s Scottsdale TR, which does have an insert? Interesting that Ping finished second and then twenty sixth with two putters from the same line and heads that are pretty close to the same. Did the difference in necks make that much difference? Also funny that just last night, I along with two others tried out the TM Daytona and all felt it had hot spots (inconsistent) in the face. Gonna have to go back and give it another try now. Great write up. Like taking your results and trying as much stuff as I can on my own to compare. Some are spot on while others are quite different. Then again its usually just my testing and opinion compared to the way MGS does it (more testers and more controlled) Great job! I swing SBST and I couldn’t hit a damn thing with the Anser 2, but was close to automatic with the Anser 5. I’m willing to bet that the discrepancy comes from the majority of testers having a Slight Arc swing that favors just a bit of toe-hang. 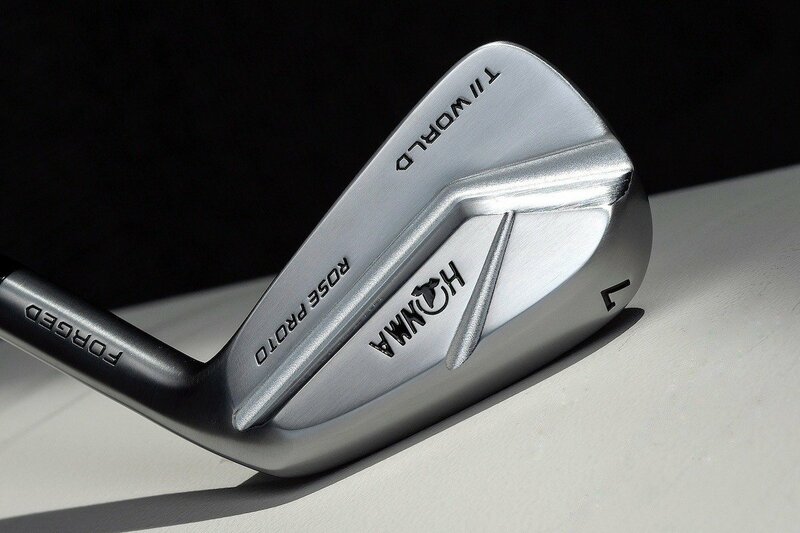 I rolled several with the TM Daytona at Golfsmith this past weekend intentionally hitting slightly off-center rolls gradually toward heel and toe and noticed a similar inconsistency. You have to give the testers a bit of a break here though. 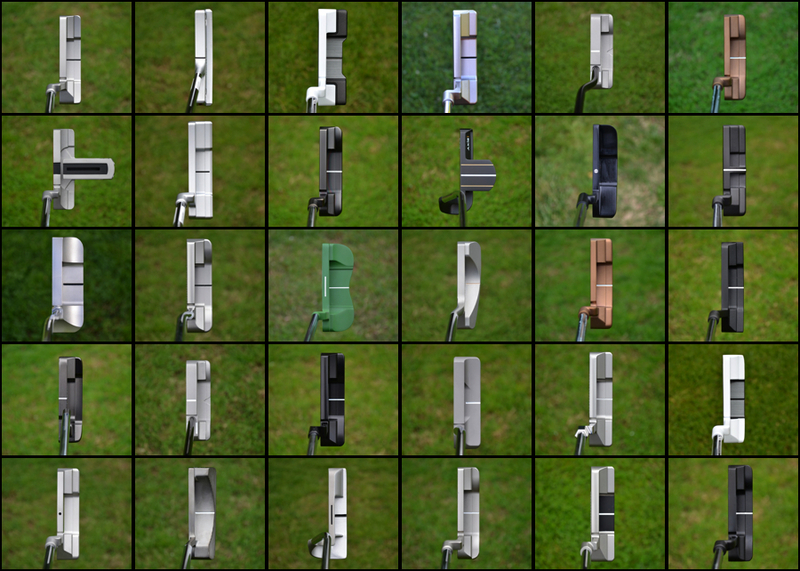 31 putters 100’s of rolls and lets face it, folks have specific tastes when it comes to putters, I know I do. After awhile it gets tough to tell the difference, especially in the same manufacturers lines. At least it has been for me. I noticed there weren’t any center hosel putters in your test. Don’t care for them myself but they are out there. I was wondering if you might be able to tell me what percentage of these models were/are face balanced. 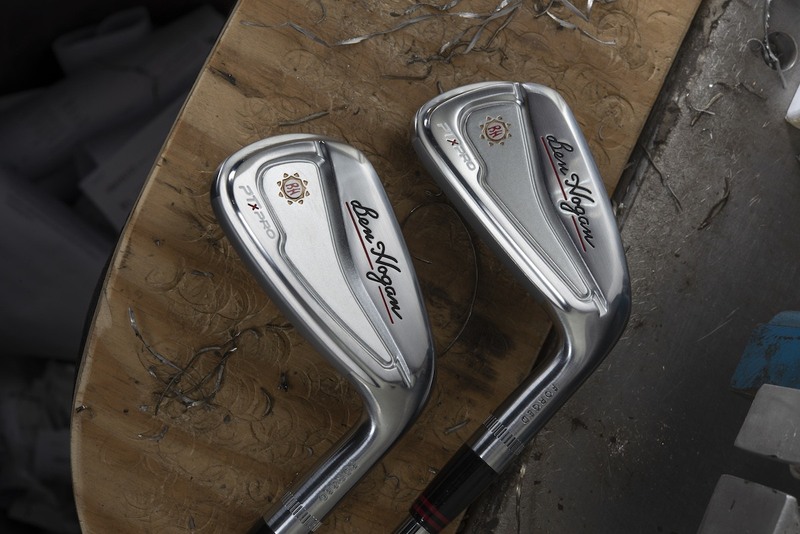 To see such discrepancy between the number 5 and number 2 surprised me in the Karsten line…except for the fact that these testers are making hundreds of strokes with what I assume are mostly slight to strong arc weighted putters. Goes back to the “being different” occasionally hurting in a test like this. Obviously Ignore this if you are covering this factor in beyond the numbers. One other question i have is regarding your testers. Is this the same basic group from the mallet test? We had 7 of the 10 testers the same. As for the 2 v. 5 difference, I think that VCUramGolf below has the right idea. The fit for stroke could have really favored the slight arc over the straight with the Ansers. The other more face-balanced blades struggled too compared to the top putters.